The The last website you visited has infected your computer with a virus is a misleading web page that displays fake alerts and can redirect your browser to other misleading and malicious sites. If the Safari, Google Chrome and Firefox opens automatically to this page then it’s possible that an adware (sometimes named ‘ad-supported’ software) was installed on your MAC OS. The ‘ad supported’ software is an undesired software that is going to display you a huge number of popups and deals including misleading ads like those “The last website you visited has infected your computer with a virus” fake alerts. Of course, it’s not a malware or virus in the “general meaning” of this word. It will not delete or damage your files, but it can change some MAC’s settings or download and install other malicious applications. So, you’d better to get rid of adware using the guidance below and thereby delete “The last website you visited has infected your computer with a virus” pop up scam. The adware which cause misleading “The last website you visited has infected your computer with a virus” pop-up warnings to appear, is not a virus, but the virus behaves similarly. As a rootkit hides in the system, modifies web-browser settings and blocks them from changing. 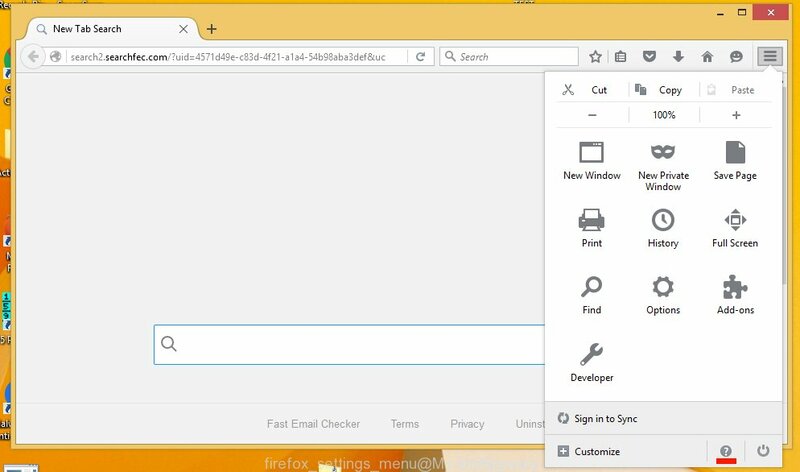 Also the ad-supported software can install additional internet browser extensions and modules that will inject advertising links within the Mozilla Firefox, Chrome and Safari’s screen. Moreover, the adware may install a browser hijacker that once started, will change the web-browser’s startpage and search provider. The worst is, the ‘ad supported’ software can gather your user information such as what web-sites you are opening, what you are looking for the World Wide Web and so on. This privacy info, later, may be used for marketing purposes. So, obviously, you need to remove the adware as quickly as possible. Use the free steps below. This guide will allow you clean your Apple Mac of ‘ad supported’ software and thereby remove the “The last website you visited has infected your computer with a virus” intrusive pop-up ads. The adware is a form of malicious software that you might have difficulty in removing it from your MAC OS. Luckily, you have found the effective “The last website you visited has infected your computer with a virus” popup removal instructions in this blog post. Both the manual removal solution and the automatic removal way will be provided below and you can just select the one that best for you. If you’ve any questions or need assist then type a comment below. Certain of the steps will require you to restart your Apple Mac or shut down this web page. So, read this guidance carefully, then bookmark or print it for later reference. If you perform exactly the step by step guide below you should be able to remove the “The last website you visited has infected your computer with a virus” popup scam from the Chrome, Firefox and Safari browsers. Check out the Finder (Applications section) to see all installed software. If you see any unknown and questionable programs, they are the ones you need to remove. Make sure you have closed all web-browsers and other apps. Next, remove any unwanted and suspicious software from MAC system using the Finder. 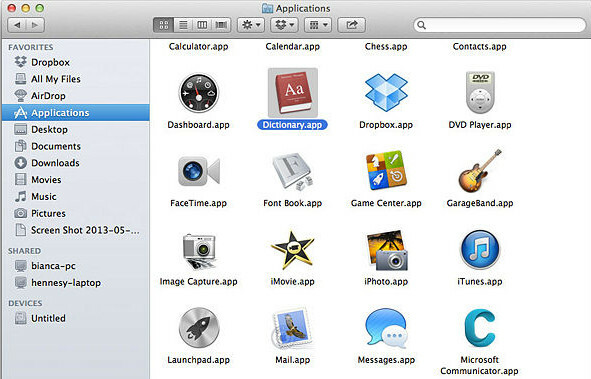 Look around the entire list of applications installed on your MAC. Most probably, one of them is the ad supported software which created to display misleading “The last website you visited has infected your computer with a virus” pop up within your internet browser. Select the suspicious program or the program that name is not familiar to you and uninstall it. 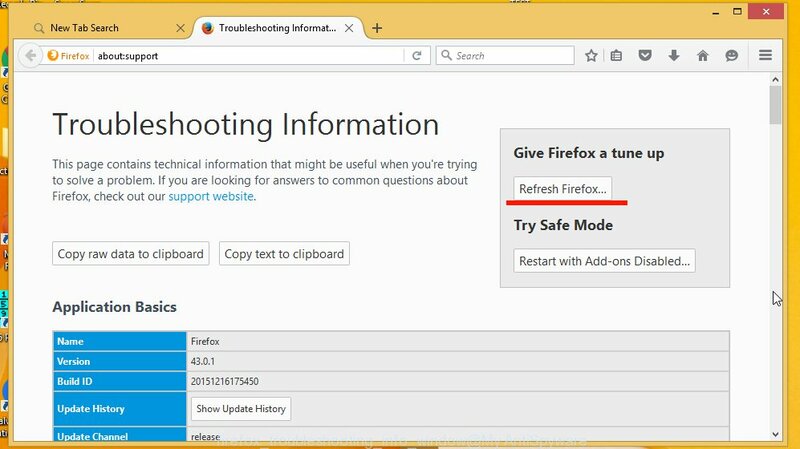 Resetting your Firefox is good initial troubleshooting step for any issues with your browser program, including the redirect to “The last website you visited has infected your computer with a virus” web-page. 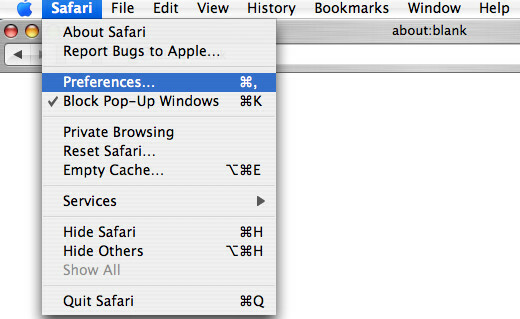 By resetting Safari web-browser you return your web-browser settings to its default state. This is basic when troubleshooting problems that might have been caused by adware that causes misleading “The last website you visited has infected your computer with a virus” popup on your web-browser. Like other modern internet browsers, the Chrome has the ability to reset the settings to their default values and thereby restore the internet browser’s settings like new tab page, search provider and homepage that have been modified by the adware which shows misleading “The last website you visited has infected your computer with a virus” popup scam on your Apple Mac. Manual removal guide does not always help to completely remove the ‘ad supported’ software, as it’s not easy to identify and delete components of ad supported software and all malicious files from hard disk. Therefore, it’s recommended that you run malware removal utility to completely remove “The last website you visited has infected your computer with a virus” off your web-browser. Several free malicious software removal tools are currently available that may be used against the adware. The optimum solution would be to run MalwareBytes AntiMalware. Remove “The last website you visited has infected your computer with a virus” popup manually is difficult and often the ‘ad supported’ software is not completely removed. Therefore, we recommend you to use the MalwareBytes AntiMalware that are completely clean your MAC OS. Moreover, the free program will help you to get rid of malware, PUPs, toolbars and browser hijacker infections that your MAC system can be infected too. After the downloading process is complete, close all applications and windows on your MAC. Run the saved file. Follow the prompts. The MalwareBytes AntiMalware will automatically start and you can see its main screen as shown on the screen below. Now click the “Scan” button to perform a system scan with this utility for the ad-supported software that developed to show misleading “The last website you visited has infected your computer with a virus” fake alerts within your web browser. This process can take quite a while, so please be patient. When the system scan is done, MalwareBytes Free will display a list of found threats. In order to get rid of all items, simply press “Remove Selected Items” button. 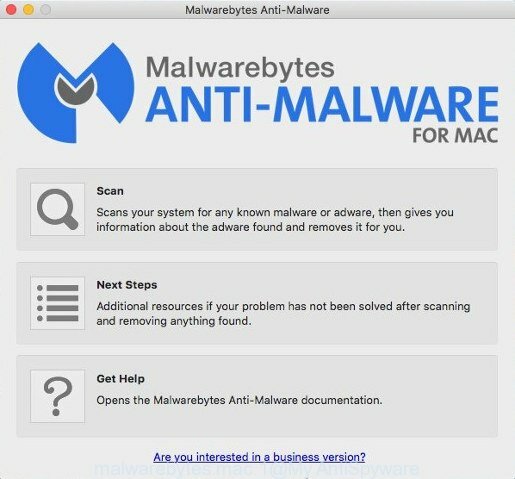 The MalwareBytes Anti Malware (MBAM) will get rid of adware that causes multiple misleading “The last website you visited has infected your computer with a virus” alerts and pop ups and move items to the program’s quarantine. By installing an ad-blocking program such as AdGuard, you are able to stop “The last website you visited has infected your computer with a virus”, autoplaying video ads and delete a huge number of distracting and intrusive ads on web sites. Visit the page linked below to download the latest version of AdGuard for Apple Mac. When the downloading process is complete, run the downloaded file. The “Setup Wizard” window will show up on the computer screen. Follow the prompts. AdGuard will then be installed. A window will show up asking you to confirm that you want to see a quick guide. Click “Skip” button to close the window and use the default settings, or click “Get Started” to see an quick tutorial which will assist you get to know AdGuard better. 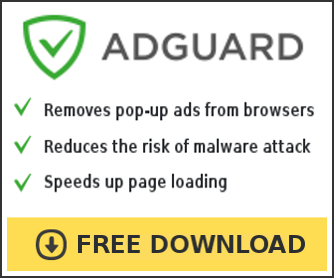 Each time, when you start your machine, AdGuard will start automatically and stop popups, web-pages such as “The last website you visited has infected your computer with a virus”, as well as other malicious or misleading web-sites. Now your computer should be free of the adware that causes web browsers to open misleading “The last website you visited has infected your computer with a virus” fake alerts. We suggest that you keep AdGuard (to help you stop unwanted popups and undesired harmful pages) and MalwareBytes Anti-Malware (MBAM) (to periodically scan your computer for new malicious software, browser hijackers and ‘ad supported’ software). Make sure that you have all the Critical Updates recommended for Mac operating system. Without regular updates you WILL NOT be protected when new hijacker infections, harmful applications and adware are released. If you are still having problems while trying to delete “The last website you visited has infected your computer with a virus” pop-up from your web-browser, then ask for help in our Spyware/Malware removal forum.